The Brain Drain has been with the country since the mid 1960s. Accelerated by the relaxing of the rules for nurses to work in the US, this spurred other professions to follow suit, thus, the “drain”. As early as 1975, this was observed and recognized as detrimental to Philippine national development. Thus, the Balik-Scientist Program was organized way back in 1975, primarily to lure back talent for a then fledgling Philippine Nuclear Program geared towards the construction of the Bataan Nuclear Power Plant. The success of the program had mixed results owing to a limited scope with regards to what a Balik Scientist needs. Acknowledging this., House Bill 6346 was initiated by Zamboanga City Representative Victor Yu that would provide the Balik Scientists incentives according to short and long term programs. HB 6346 has been approved on third and final reading at the House of Representatives. Yu said the government recognizes that the utilization of the expertise of expatriate Filipino scientists and technologists is a vital component of the nation’s political, economic and social development efforts. Engagement of the Balik Scientists shall either be a Short Term Award of at least 30 days per award to be served within a year or a Long Term Award of 24 to 36 months to be served within 5 years. The scientists will be exempted from the licensing or permit requirement of the Professional Regulation Commission. They will enjoy tax-exempt donation of instruments related to the scientific project and will get a special non-immigrant visa. Other than those provided under a Short Term-Award, incentives under a Long-Term Award include relocation allowance, housing to be arranged by the host institution, and duty-and tax-free importation of one second-hand motor vehicle with gross vehicle weight not exceeding 3,000 kilograms. They will also get reimbursement of expenses for the surface shipment of personal effects and professional instruments including one motor vehicle not exceeding three and one half tons volume weight and exemption from travel tax including that of immediate family members. Likewise, they will be provided with immigration clearance certificates and payment of multiple entry fees, and availability of infrastructure budget for the construction of a laboratory. 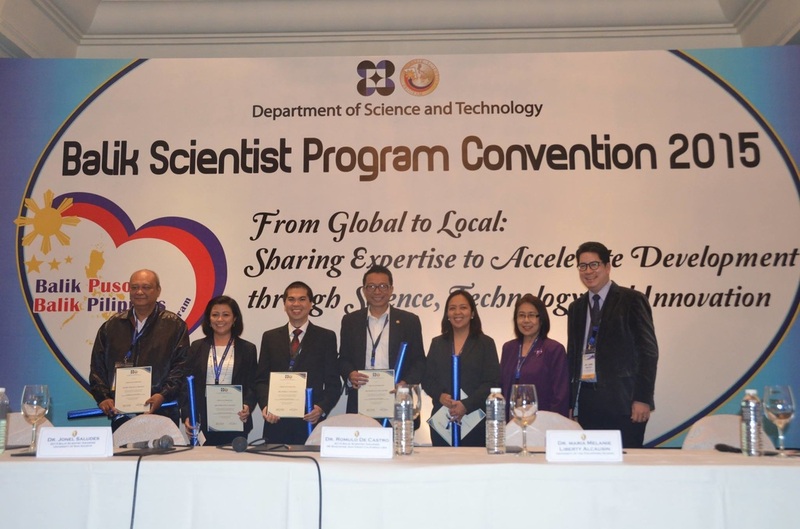 The participation and service of expatriate or returning scientists shall be governed by rules and regulations promulgated by the DOST in consultation with relevant agencies of government and non-government organizations. The co-authors of the bill are Reps. Erico Aristotle Aumentado (Bohol), Lawrence Lemuel Fortun (Agusan del Norte), Jesulito Manalo (Angkla party-list), Edgardo Masongsong (1-Care party-list), Mariano Piamonte Jr. (A Teacher) and Mariano Michael Velarde Jr. (Buhay party-list).